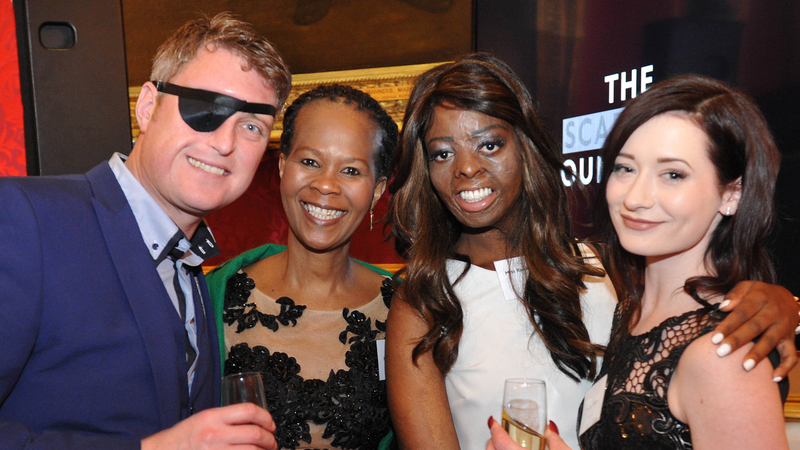 Over 200 guests attended the launch of the private stage of The Scar Free Appeal at St James’s Palace yesterday evening where the charity’s Patron, HRH The Countess of Wessex, spoke movingly of her experiences meeting survivors of scarring and disfiguring conditions. Announcing for the first time the change of the charity’s name from the Healing Foundation, to the Scar Free Foundation, The Countess reflected on the charity’s 15 years of research leadership in a range of areas relevant to wound healing, cleft, burns and the psychological impact of disfigurement. Hosted by Scar Free Foundation Chairman, Stuart Rose, guests included The Chief of the Defence Staff, General Sir Nicholas Houghton as well as other members of the Armed Forces, business leaders and eminent scientists. Paddington train crash survivors Pam Warren and Tim Streatfeild were also amongst those who heard the Medical Director of NHS England, Professor Sir Bruce Keogh, speak passionately about the Scar Free ambition and the enormous impact that new treatments will have on patients. Alex Mahon, Chair of The Scar Free Appeal commented, “It is outstanding that our fundraising is now underway and with our first £1 million received, we are off to a wonderful start. There is a lot of work ahead of course and the enthusiasm and interest at St James’s Palace was palpable. We are all looking ahead to the successful appeal in order to deliver Scar Free healing within a generation”. A short video, made with the support of Sky and branding agency venturethree, and featuring the voice of actor Tom Hollander, told the story of a number of Scar Free Foundation ambassadors including Lucy Wilson, who survived a major bath scald as a baby and Daniel Jackson, a survivor of facial cancer. The Scar Free Foundation will formally and publicly launch in May 2016.